Rafale Deal – Everything you need to know about the IAF Rafale Deal. The NDA Indian government led by Prime Minister Narendra Modi has finally decided to go ahead with the Rafale deal in February 2015 for the purchase 36 Rafale fighters in flyaway condition . The Rafale deal with an estimated price tag of $ 8.8 Billion which approximately amounts to Rs . 59000 Crores is considered to be the mother of all defence deals India has signed so far. 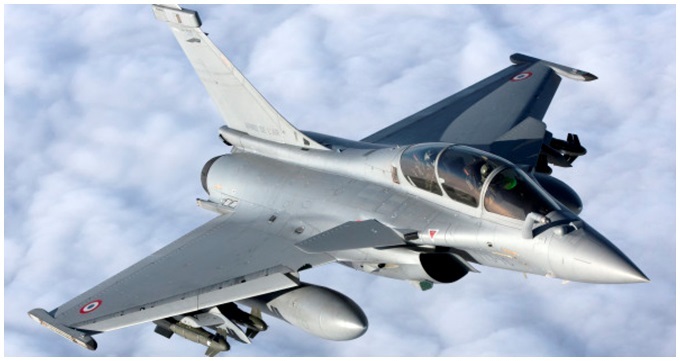 The Rafale deal is considered to be both as a game changer and the lifesaver for Indian Air Force ( IAF ) constrained to operate with obsolete aircraft. The Rafale deal has been clinched at the most critical time especially when the Indian Air Force squadron strength has reached an all time low. The Rafale deal has now finally concluded after a prolonged delay of over fifteen years. The delay is primarily due to lack of political will and neglect by successive governments and the long drawn procurement process . The contract negotiations with the French company Dassault Aviation, the manufacturer of Rafale fighters was also dragged with Snel’s speed. The Indian Air Force ( IAF ) operational squadron strength had declined to barely 32 squadrons as against the sanctioned strength of 45 squadrons. Both LCA Tejas and Russian Su 30 MKI were lagging behind in terms of capabilities as compared to the fighters being inducted by its adversaries ( Pakistan and China ) . And therefore then Indian government decided to equip the IAF with 4 plus generation fighters in sizable numbers. The Indian government floated the tender to acquire 126 MMRCA ( Medium Multi-Role Combat Aircraft ) in 2001 . As per this tender , eighteen of the medium multi-role combat aircraft (MMRCA) was to be purchased in flyaway condition and the remaining 108 were to be manufactured in the country under a transfer of technology ( TOT ) agreement with the selected supplier. The Indian government issued a formal “Request for Proposal” ( RFP ) for procurement of 126 fighter aircraft for Indian Air Force in August 2007. The RFP was responded by seven major contenders which include American Boeing fielding its F-18 Super Hornet, Dassault Aviation with Rafale, European joint venture fielded Eurofighter Typhoon aircraft , American company Lockheed Martin with its Block 70 standard F-16 Falcon’s , Russia Mikoyan fielded its MiG-35 and Swedish Saab Group with its JAS 39 Gripen. The Indian Air Force conducted extensive technical and performance evaluation trials for all the seven contenders and submitted the report in 2011 . The IAF finally shortlisted both Dassault Rafale and Eurofighter Typhoon for final contract negotiations . However , during the UPA Congress government tenure , the Rafale deal could not proceed further till 2014 due to RFP compliance and cost-related issues. This is despite the critical state of the Indian Air Force operating with a dilapidated fleet of obsolete aircraft. The BJP government came in to power in 2014 with the massive mandate under the leadership of Prime Minister Narendra Modi. 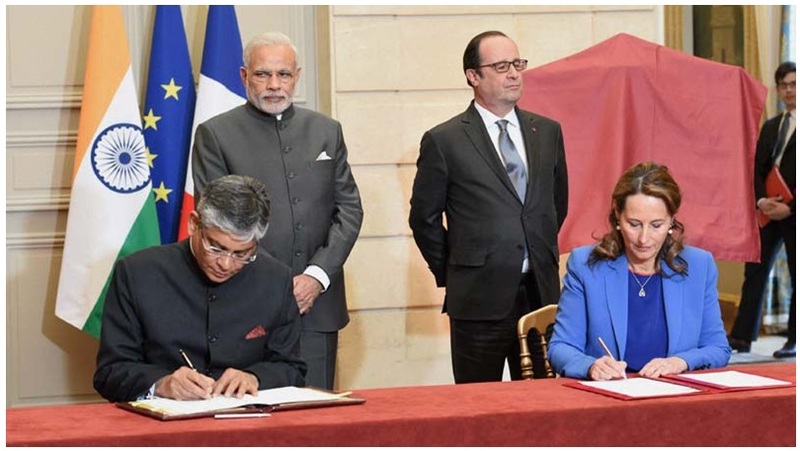 In February 2015 , during PM Modi’s visit to France , the government declared its decision to move ahead with the purchase 36 Rafale fighters in a government to government deal to be purchased in flyaway condition. The Indian Air Force ( IAF ) has conquered many wars which were imposed on India in post-independence history . In all these wars , the Indian Air Force has played a decisive role by inflecting devastating blows to the enemy . In Indian Air Force , each fighter squadron consists of 18 aircraft. The fighter squadron is headed by a commanding officer with the rank of wing commander. The squadron strength of the Indian air force has steadily declined over a period of last few decades . The IAF squadron strength has now reached to the dangerously low level of barely 33 squadrons . This squadron strength well bellow the minimum operational strength 42 squadrons required in the event of two front war scenario . The lack of planning , political will and extremely slow pace of decision making are some the factors responsible for this situation . The successive Indian governments have failed to accord the due importance and the priority to initiate the necessary corrective measures . The UPA government led by Congress could not provide the necessary resources , direction and the political will to ramp up the IAF declining squadron strength . Further , the plan to induct LCA Tejas fighters in sizable numbers which was intended to replace MIG 21 also could not take off . The indigenously designed and developed Tejas fighter aircraft has faced considerable delay and performance issues . The Indian air force has time and again flagged several improvements in Tejas specification in order to be considered suitable . Further , the Hindustan Aeronautics Limited ( HAL ) , a public sector undertaking company which is mainly responsible to manufacture the Tejas aircrafts could deliver only fraction of the committed numbers . The HAL is currently producing only 6 Tejas fighters per year whereas the required production rate should be 20 Tejas fighters per year . The existing squadrons of IAF mainly consist of Soviet era MIG 21 , MIG 23 , MIG 27 , MIG 29 , Sukhoi 30 MKI , French Mirage 2000 and British Jaguars . The MIG 21 , MIG 23 , MIG 27 have almost reached end of their effective lifespan and it would not be practically feasible to give them a further lease of life . Out of the 34 squadrons, almost 12 squadrons consist of MIG 21 , MIG 23 and MIG 27 which have already gone through a number of refits and up-gradation programs. Even the “Original Equipment Manufacturer” ( OEM ) of these aircraft has refused to upgrade these planes any further. And we are constrained to seek the help from third party vendors to upgrade these aircraft. This means there would be a sizable reduction in the already critically low squadron strength for IAF . And therefore , it is critically important for Indian government to induct new breed of fighter aircraft in sizable numbers to avoid any compromise on issues concerning national security. The Indian Air Force had conducted extensive technical and performance evaluation trials and eventually left the final choice with the government of the day . The French origin Dassault Rafale and the Eurofighter Typhoon were declared by IAF as final contenders for MMRCA deal . The Indian government opted for Dassault Rafale possibly because of two factors . The IAF is already operating French Dassault Mirage 2000 in sizable numbers with the excellent track record. Further, the Eurofighter Typhoon is a creation of a joint venture between four europian countries. The future of Eurofighter lacks clarity . Considering the average life span of at least 30 years, the serviceability of these aircraft could be a major issue in future although Eurofighter was offered at a slightly cheaper price as compared to Rafale . The Indian government declared Dassault Rafale as L1 bidder in 2012 and initiated the contract negotiation. The Congress led UPA government had already spent a considerable amount of time on the selection process and could not take the Rafale deal to its logical conclusion . Further , the UPA government did not have the plan B in place to ensure the minimum squadron strength for IAF necessary for the operational preparedness . Why Rafale could not be manufactured by HAL ?. The HAL had developed expertise only in assembling soviet era fighters . Further, the existing HAL manufacturing plants did not have the necessary infrastructure in place required for sophisticated Rafale fighters . And therefore , HAL and Dassault Aviation could not reach an agreement on various issues to locally manufacture the Rafale fighters in India . Any decision to locally manufacture these planes in India would have further delayed the delivery schedule of these fighters urgently needed by IAF. Further , Dassault Aviation was not ready to take the responsibility of the Rafale if manufactured in India by HAL considering the poor track record . It would be worth mentioning here the recent media reports about HAL not being able to manufacture rotary blades for French origin Cheetah helicopters in India despite the technology transfer by the French company. The NDA government led by BJP came in to power in 2014 and had left with very limited options. And therefore, the NDA government decided to go ahead with the purchase of 36 Rafales in flyaway condition. The NDA government decided to go ahead with the purchase of 36 Rafales in fly away condition . This decision was conveyed in principle in 2015 during Prime Minister Narendra Modi’s visit to Paris . The agreement was sealed in September 2016 in New Delhi between the Defence Ministers of both countries . The Indian side was represented by then Indian Defence Minister Mr Manohar Parrikar and the French side by his visiting counterpart, Mr Jean Yves Le Drian . India also released the first payment of 15 per cent to seal the contract. The deal sealed by NDA government was quite a comprehensive deal in terms of both scope and weapon systems included in the deal . This deal includes the cost of the 36 aircraft, IAF-specific enhancements and modifications , latest BVR missiles, other Weapons, training, Operations and Maintenance infrastructure at two locations. This deal also includes the 50% Offset obligation to be fulfilled by Dassault as an investment in India . During the same period , both Chinese and Pakistanis air force have steadily increased their squadron strengths both in terms of absolute numbers and the technology . The Chinese air force has already inducted latest J -20 so called fifth generation aircraft with stealth technology . The Pakistanis air force also has sizable number of American F-16 and Chinese designed but made in Pakistan JF – 17 . The opposition parties are resorting political blame game to derive some political milage. The opposition main charge seems to be the higher price paid in this deal . During the UPA government tenure , the Rafale deal was always stuck in a negotiation mode . As such no concrete price tag and the scope of the deal is available for fair comparison. Further, we also need to factor the escalation due to delays in decision making . As clarified by the government , the government could negotiate a much better price , weapons package and the scope of the services included in this Rafale deal . All political parties should avoid the temptation to drag the issues concerning armed forces into the political arena in the national interest . Such tendencies can seriously cripple the government’s resolve to provide the latest weapons to the armed forces which adversely affect the combat capability of the armed forces. Although Rafale fighters had controversial entry into the IAF but undoubtedly the Rafale will be a complete game changer for the Indian air force . The Rafale fighters will provide unmatched capabilities to IAF to completely dominate the air combat against its adversaries . Further , the proposed induction of 36 Rafales would provide some breathing time to the Indian government and IAF to initiate the corrective measures on the war footing to improve the IAF Squadron numbers. The proposal to place follow-on order of additional 36 Rafale fighters is also being considered by the Indian government . The government should focus on driving the HAL to ramp up the LCA Tejas production to at least 20 LCA Tejas per year . The HAL can easily achieve this by opening additional production lines and with the active participation of private sector . These two measures will further help to ease the pressure. The Supreme court of India on 12th December 2018 gave a clean chit to the government of India and dismissed all the petitions filed by opposition parties.